Cherry wood flooring naturally contains a dark and rich red tone, especially when polished to a gloss. This rich flooring doesn't go well with all paints, and it is sometimes difficult to choose a paint color for rooms that feature cherry floors. A number of colors do go well with cherry floors, however, creating either large or small amounts of contrast, depending on your preference. The right paint colors bring out the beauty of cherry wood floors. White is a classic color often used to present the illusion of a clean and open space. White paint provides a large amount of contrast against the dark wood of cherry floors, drawing attention to the floor while still creating the illusion of a larger space that is often associated with white walls. 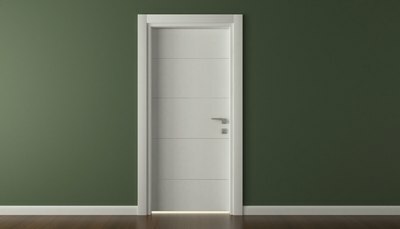 White paint comes in a wide range of options, from natural white to antique or off-white, giving you a number of choices. Light gray paint works similar to white paint, drawing attention to the beauty of natural cherry floors due to the high contrast between the wood and the paint color. 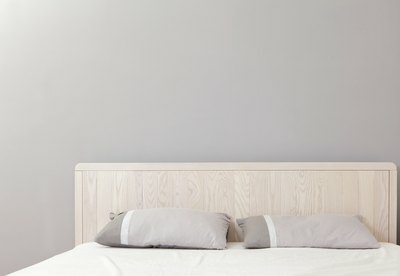 White walls often appear gray in certain lighting, so to avoid fluctuations in the appearance of the paint, some homeowners choose to use a light or muted gray to begin with. Light blue paints provide high contrast while giving the room a splash of cool color. The blue contrasts with the deep red tones in the wood, bringing focus to the floor in more ways than one. 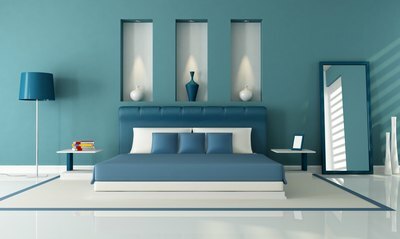 Take care when choosing a light blue paint to ensure that it isn't too bright since a bright blue can clash with cherry wood. Light green paint is used in the same manner as light blue paint, providing a slight touch of color while creating a contrast to draw attention to the floor. 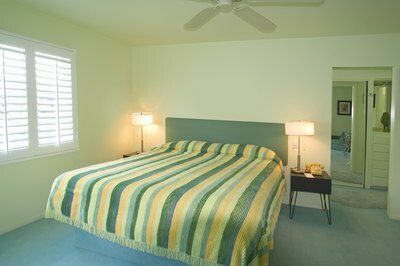 As with light blue paint, choose a shade of green that is soft so that it doesn't clash with the red in the cherry wood. Dark blue paint acts as an accent to cherry wood floors, with the dark tone complementing the dark red within the wood. The blue provides enough contrast to still make the floor capture the attention of guests, but the contrast is more subtle since both the wood and the paint are dark in appearance. Carefully choose the right shade of blue to complement the wood floor. Dark green paint provides a low contrast against cherry wood in the same way that dark blue paint does, though the green will typically provide slightly less contrast than blue. 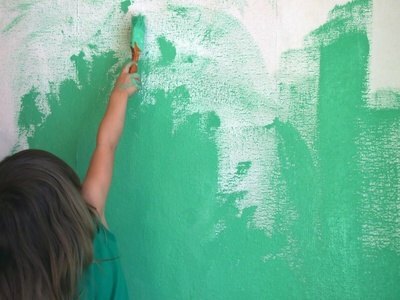 Select a deep green as opposed to an olive or other green with a high amount of yellow to prevent the paint from clashing with the red of the wood. Dark red paint can easily complement the deep red tones of cherry wood flooring. 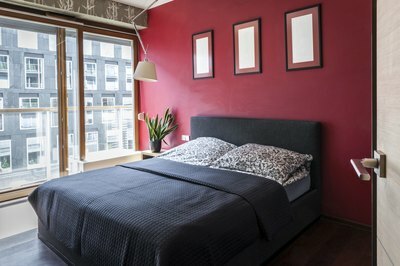 Choose a truly complementary shade of red, and ensure that any accents or borders contain other colors so as not to overwhelm guests with the amount of red in the room. Apartment Therapy: Best Colors to Coordinate With Cherry Floors?